A poorly manufactured countertop is easy to spot. Rugged corners and crudely filed cutouts can make even the most regal stones look dirty and cheap. At Granite Selection, we have invested in advanced technology to give all of our customers a perfect countertop, every time. 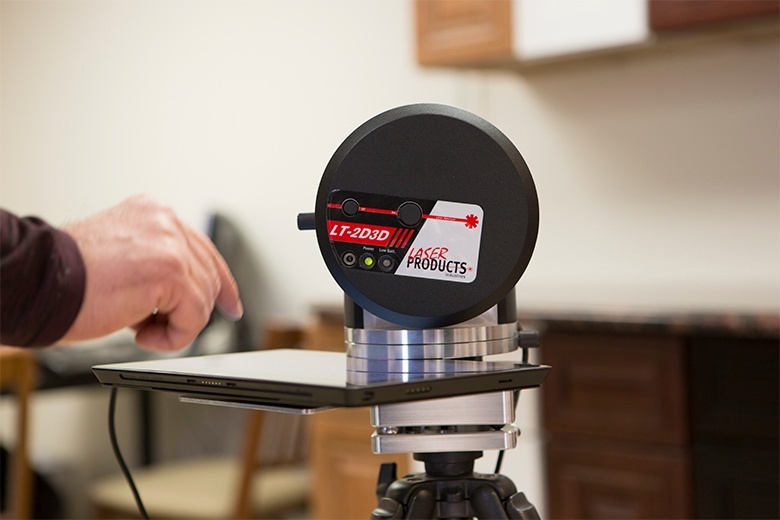 When you schedule our complimentary in-home measurement service, our expert Granite Selection employees utilize the LT-55 XL Laser Templator to complete a precision template of your kitchen or bathroom with an accuracy of +/- 1/16”. The machine can handle countertops of any size up to 50 feet. We then use that template to program our state-of-the-art CNC Machines. CNC stands for Computer Numerical Control and has been around since the early 1970’s. While people in most walks of life have never heard of this term, CNC has touched almost every form of the manufacturing process in one way or another. 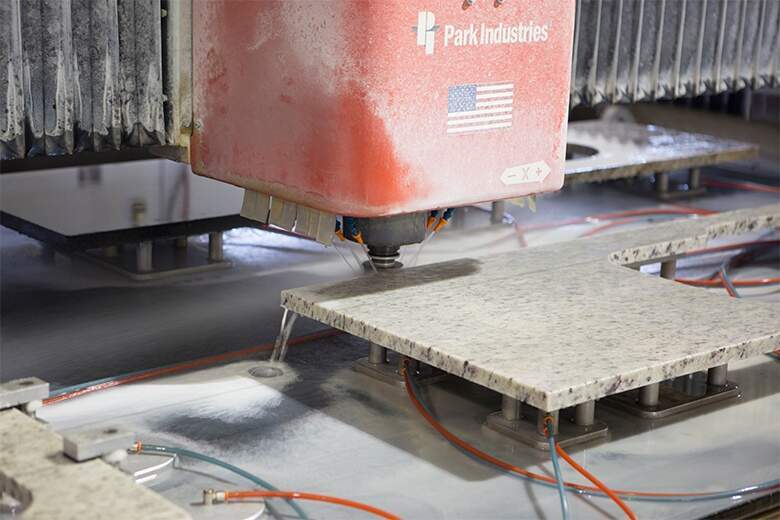 Using the LT-55 Lasers templates, we cut your granite to those precise measurements using our CNC Machines. This process is more precise than manual machining and can produce complex shapes that would be almost impossible to achieve with manual machining. Using this technology, we are able to provide invisible seams and perfect cutouts for sinks and other appliances. These machines mean that, when you partner with Granite Selection, there is no need for additional cutting or sanding of the stone on site. That equals to faster, cleaner and more precise installation countertops. Other countertop companies bring granite slabs to your home with only the larger cuts made. They then hand measure and cut the stone for appliances and fixtures. This can result in gaps between the stone and the sink or wall and/or undesired edging to try and get the stone to fit. If you are interested in working with Granite Selection, visit out website https://graniteselection.com/or call (888) 906-3317 to learn more about our process and the wide variety of natural and fabricated stones we carry in our Elk Grove warehouse.